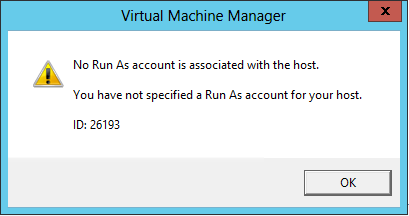 If you get this error then trying to add Resources to a host or cluter in SCVMM it’s probably because as the warning describes because no run as account is set for the host. 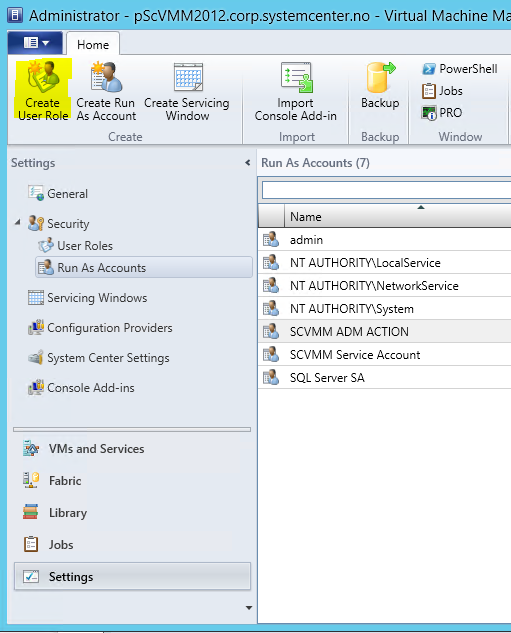 Remeber this account cannot be the same as the scvmm service account. $RunAsAccount = Get-SCRunAsAccount -Name "RUNASACCOUNT"